I recently had a studio visit from The Gray Gallery, located in Wincheser, VA. It was a wonderful visit where we talked about life, art, creative process and I shared my Blueberry Muffins with Cinnamon Topping. I’ll have to share that recipe sometime soon, it is truly delicious. At the end of the visit I was left feeling inspired by our conversation- as well as with empty walls! This month, my work fills the walls of The Gray Gallery. 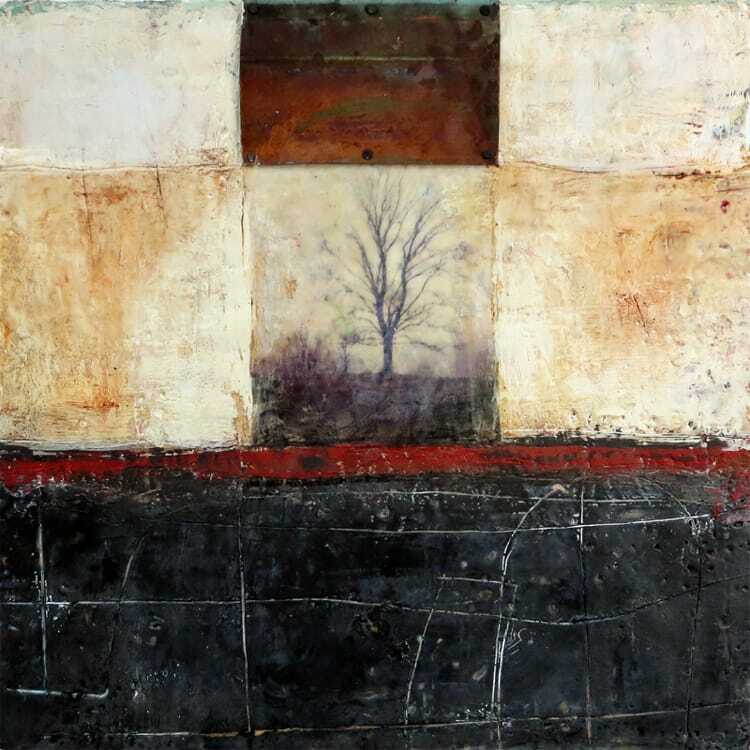 I am happy to have the opportunity to show my work and work with the Gray Gallery again. Please be sure to stop in if you are in the area. Or if you are interested in purchasing a painting, they are happy to ship out. I created a page to view available works online currently on display there. Please don’t hesitate to contact myself or the gallery if you have any questions. If you do plan to visit, check the gallery hours first before heading over. The invitational group show, Turn up the Heat, is still on display this month at the MS Rezny Gallery in Lexington, KY. For those who cannot make it into the gallery, I made a page to view available works as well. Two paintings have already sold, so be sure to check it out before the month is up! 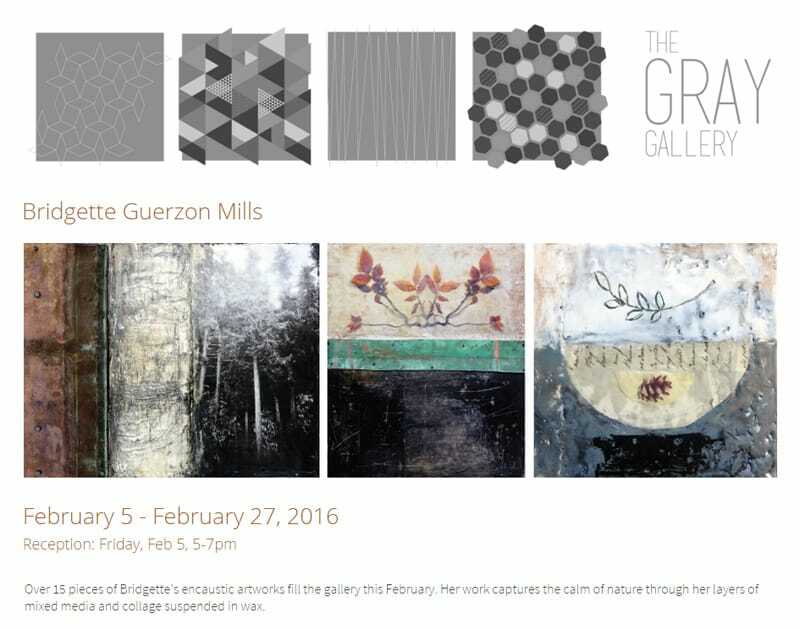 The exhibit will run until February 20th, 2016. Today I went to Lake Roland Park in Baltimore to take a winter stroll on the trail and visit my installation “Field Guides”. 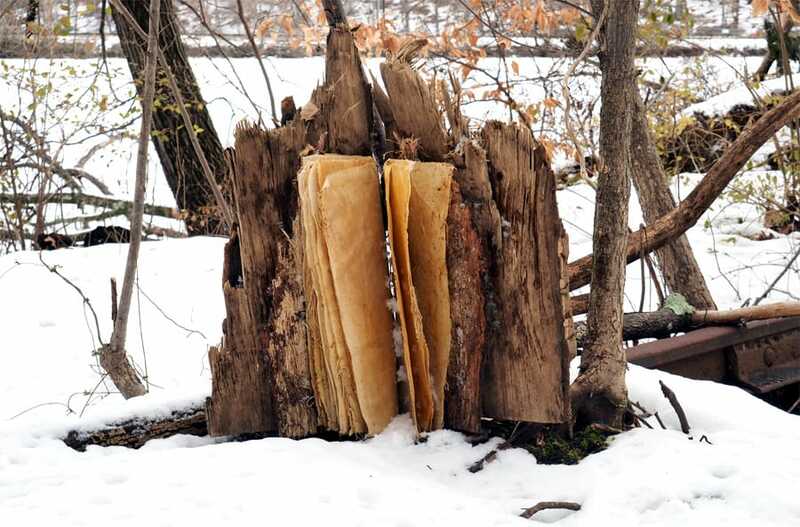 I was curious to see how my book art fared after the 30 inches of snow the area received during the recent blizzard. I was happy to see that my books are doing well and seeing them in a winter setting was exciting for me. If you like winter strolls, like I do, bundle up, put on some good winter boots and see the art on the trail surrounded by the white of the snow. You might also see a bald eagle flying by. I spied one today flying low over the lake- it was incredible. What a beautiful bird. That wingspan! Wow.